The Palm Pre Plus on AT&T has solid hardware, mature software, and most importantly finally gives US-based GSM lovers a webOS option. AT&T is now the third US carrier to pick up Palm webOS devices and they're starting it off with the Palm Pre Plus at $149.99 with a 2-year contract. The Pre Plus will be available May 16th, the Pixi Plus will land later. We've only had a review unit for a couple of days but since there's so little changed from the Palm Pre Plus on Verizon that's enough time to give you a quick review of how the AT&T version fares. We're going to focus primarily on what's new and different with the AT&T Palm Pre Plus as compared to previous versions of the device. 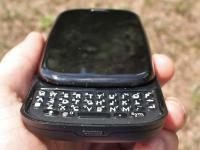 If you're new to webOS, the good news is we have plenty of resources for you to learn what this device is all about. 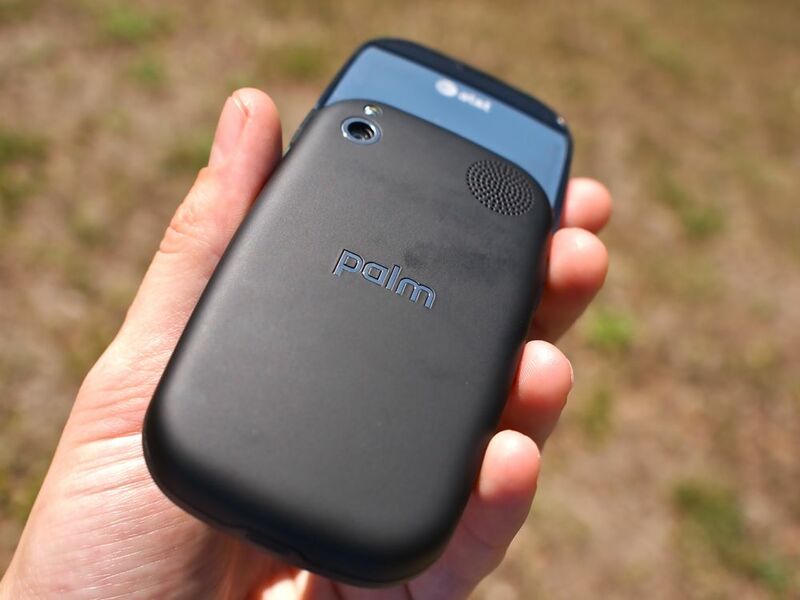 Read on to see how the AT&T Palm Pre Plus stacks up! ...in other words, these specs are nearly identical in every way to the Verizon Palm Pre Plus. The only significant change is in the main cellular radio. That's an important difference for many users - being on AT&T means that this Palm Pre Plus will work nearly anyplace on the planet and will also allow for simultaneous voice and data. In our speed tests we am consistently getting between over 800kpbs download speeds. Upload speeds are a little more variable, ranging between 80kpbs and 250kpbs with a strong AT&T signal. Form-factor-wise, if you've seen one Pre, you've basically seen them all. What we have here is a vertical slider with a plastic capacitive screen at 320x480. We'll admit that both the physical dimensions and number of pixels on the Pre is starting to feel a little on the small side. That minor niggle is more than offset by the fact that the Pre has its slide-out physical keyboard. On the iPhone and most Android devices, bringing up the keyboard radically reduces the amount of visible screen real-estate, a issue that doesn't exist with the Pre Plus. For a limited time, AT&T is giving away Touchstone chargers for those who purchase the Pre Plus in stores, which is nice since the Pre Plus comes with the matte-finish inductive charging back. We still find the door covering the microUSB charging/data port to be fiddly and annoying. Build quality on our review unit is the best we've ever seen on a Palm Pre. 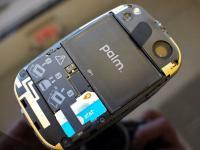 Palm has clearly worked to make some subtle tweaks to improve the overall hardware quality of this device. 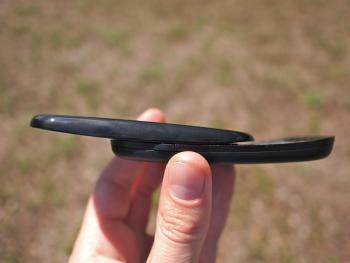 The slider feels as though it has a touch more friction than the Verizon or Sprint versions - it feels tighter overall. There is no "Oreo" effect whatsoever, no creaking, no rattles - it's just solid. 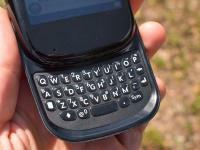 The keyboard is also much improved over even the Verizon Pre Plus. They keys are a bit clickier than the Verizon version and much much improved over the Sprint version. More importantly, we cannot detect any problems whatsoever with double-keys or missed keys. They keyboard is great. We do wish Palm would implement more software-based auto-correction like adding a period on double-space and in general more aggressive error correction. Unfortunately, we can't give a final verdit on built quality until we see more devices out in the wild. Build quality on Palm devices has varied widely for users - especially on launch devices. If our review unit and a couple of days of hard testing is any indication, however, Palm's build quality issues on the Palm Pre are behind them. 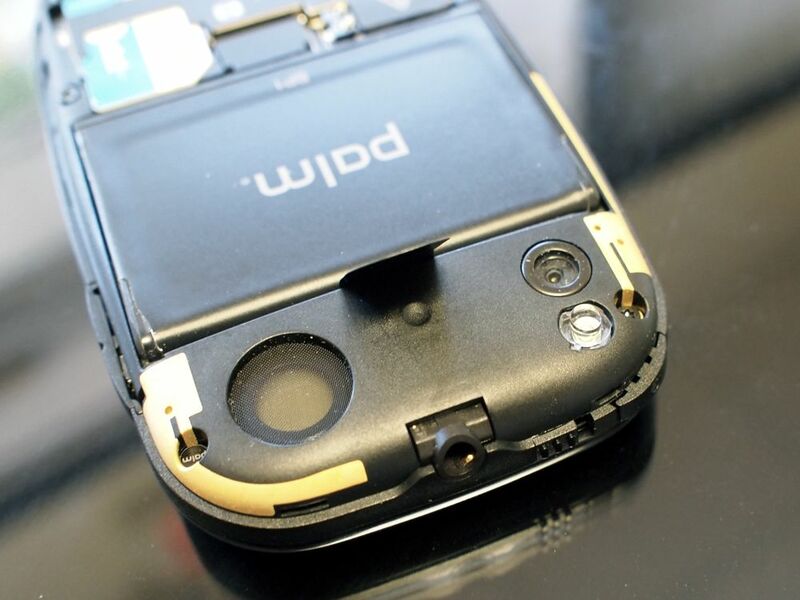 Though this won't surprise anybody familiar with the differences between GSM and CDMA, when we looked inside the battery door of the Palm Pre Plus we actually saw less surface area devoted to antennas, for whatever that's worth. We haven't had our review unit long enough to give the battery a solid test, but in two days we've found that it seems to be on par with previous Palm Pre phones. We've been hitting this device pretty hard and in two days have twice capped out at around 8 hours of heavy web browsing, email, Twitter, gaming, phone calls, ...etc. In other words - with light to medium use you should be able to get through a day. If you fall more on the moderate-to-heavy use side of the scale or you have sketchy wireless signal, you're going to want to stay near a charger, keep an extra battery, or use an extended battery. Unfortunately, we could not find a setting to force the AT&T Pre Plus to use EDGE-only for data; that will require a homebrew patch. WiFi and Bluetooth work as expected, which is to say quite well. We weren't able to test the feature that automatically logs you into AT&T hotspots (as we don't have any of those nearby). Sadly, but not unexpectedly, there is no Mobile Hotspot functionality to help you tether your laptop to your Palm Pre Plus. Given that AT&T hasn't allowed this for the iPhone yet, this isn't a surprise, but it is still disappointing. There are also no new Bluetooth profiles, but the devices works quite well with the Bluetooth headsets and car stereos we tested it on. Though this isn't news to anybody who has used webOS, we're still in love with the righthand menu, which allows you to quickly adjust WiFi and Bluetooth settings no matter where you are on the device. 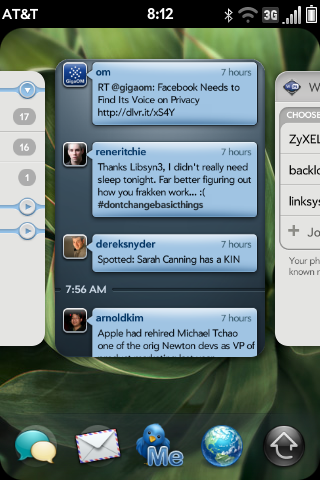 Like Palm's user interface for multitasking, it's a feature that's still unmatched by any other mobile platform out there. 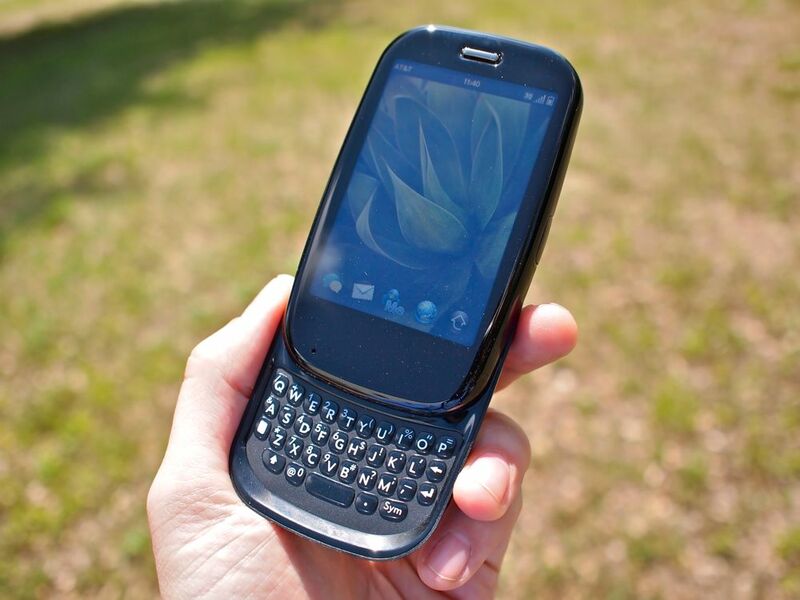 The AT&T Palm Pre Plus runs webOS 1.4.2. We are told that it is functionally identical to Verizon and Sprint's webOS 1.4.1.1 - the only significant change are the necessary additions to make it compatible with AT&T's different radio. Poking around the device, that appears to be the case for us. Some things, like setting up call-forwarding, are much more elegant, presenting a dialog box instead of forcing you to dial in and hear a message. In general, however, there is nothing majorly new here for CDMA users to be jealous of. We received an anonymous preview of the AT&T Palm Pre Plus last week which suggested that this version was notably faster than the Verizon Palm Pre Plus or Sprint Palm Pre. In our testing that hasn't quite turned out to be the case. Apps do load fairly quickly (see video above) and of course loading multiple apps is not a problem at all (though we haven't yet attempted to load up 50 apps at once, we suspect that wouldn't be a problem). So we're definitely satisfied with the speed of the AT&T Palm Pre Plus, but we believe that any fresh-from-the-factory Pre Plus would perform similarly. Performance in apps was very good, on par or better than we've found on previous webOS devices. 3D games launch quickly and run smoothly, both YouTube and local video play well, we have no notable gripes about he camera or video capture, audio performance is great, and so on. We still find the email client on the Pre Plus to be on the slow side, but we expect that the next version of webOS due out by the fall should address that issue with significant under-the-hood improvements. That version of webOS will also allow deeper access for developers to create apps that access the microphone (Shazam! ), camera (Barcode scanners), and Bluetooth. One piece of really great news, as seen in the video above, is that GPS, Assisted GPS, and tower-location all work very reliably and very quickly, unlike the Verizon Palm Pre Plus. 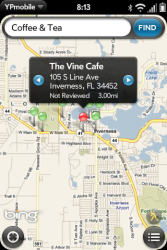 On every app we were able to get a quick location and even in many cases a direct GPS lock even while indoors with the default location settings. 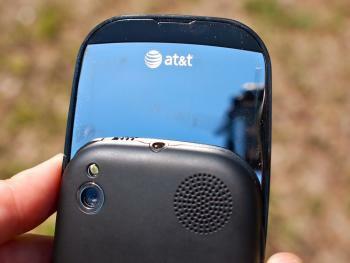 As mentioned above, AT&T is not including Mobile Hotspot on the Palm Pre Plus. 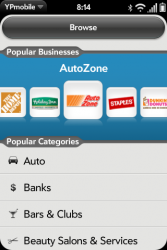 However there are a few AT&T-specific pieces of software worth noting. 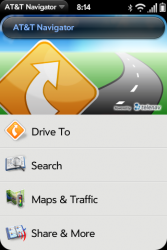 The first is AT&T Navigator, based on TeleNav, for voice-assisted turn-by-turn directions. If you haven't used TeleNav-based software in some time, we can tell you that it's full-featured and very easy to use. As with Verizon (but unlike Sprint), users will need to pay an extra $9.99 a month in order to use AT&T Navigator (There is also a $2.99 "trial day pass" option." You can also pre-plan trips and send them to your device at http://www.navpreplan.com/. 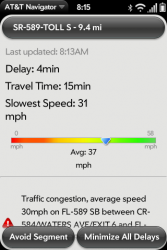 The second piece of software pre-loaded on the device is YPMobile, which is essentially a competitor to Google Maps. 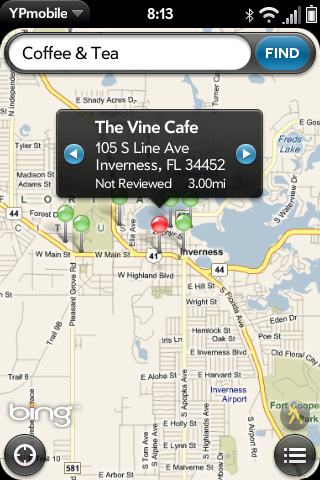 It's available for all webOS users and for now we very slightly prefer it to Google Maps on webOS - if only because Google Maps on webOS is sorely in need of an update. We've previously reviewed YPMobile. 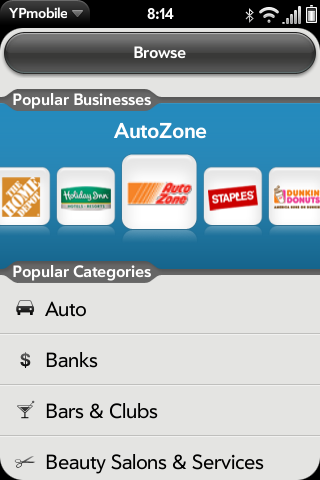 The rest of the AT&T additions are on the backend. As mentioned above, the AT&T Palm Pre Plus should automatically log you into any AT&T Hotspot and AT&T's own contacts service is now available as an option for Synergy contact syncing. Everything we love about webOS is still here and works as well or better than it has on any other webOS device: Synergy for syncing contacts, calendar, and email, the best multitasking experience on mobile, integrated SMS/MMS/Instant Messenger](http://www.precentral.net/integrated-messaging-palm-pre), Universal search for finding people, apps, and searching the web, convenient and unobtrusive notifications, and so on. A physical keyboard that doesn't occlude half the screen. 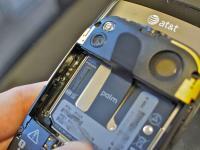 Some of these advantages will disappear when the next version of the iPhone OS and the next iPhone arrive later this year, so with luck both Palm and AT&T will use this window of opportunity to sell as many devices as possible. Setting the iPhone aside, the Palm Pre Plus is radically better than the one Android device that AT&T currently carries, the slightly embarrassing Motorola Backflip. It also stacks up fairly well against AT&T's BlackBerry lineup in terms of gaming, web browsing, and multitaksing (BlackBerry still wins on email, of course). In other words, the Palm Pre Plus is a solid addition to AT&T's lineup and it's nice to see that Palm is now on three of the four major carriers in the US. As usual, we're going to say it's the best webOS device Palm has ever released, but that's what we say with every new device and, frankly, if we didn't say that with every new device there would be a significant problem here. Now that HP is on the road to purchasing Palm, we can be confident that webOS devices will be well-supported and see frequent OS updates for the foreseeable future. We're also hopeful that we'll see newer hardware from Palm before the year is out, but our hunch is that it won't launch on AT&T. 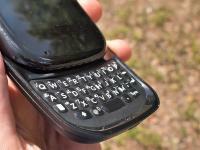 If you've been waiting to get a webOS device on AT&T, you should have no qualms about picking up the Palm Pre Plus. If you're an AT&T user and not sure whether the Palm Pre Plus is right for you, we strongly recommend heading to an AT&T store and checking one out in person once they're available.